What is GAS? And why should we be worried? 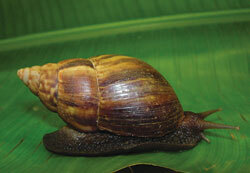 Well, truth be told, we are not talking about a poisonous substance that's breathable, but a creepy crawler that's made the news last month in Grand Bahama, the "Giant African Snail" or "G.A.S." for short. GAS is by far one of the most damaging snails on record simply because it can consume up to 500 different types of plants indiscriminately. Those who think it's just a farmer’s problem are wrong because GAS can also cause considerable damage to plaster and stucco structures, an issue that affects most of us, considering that almost all of our homes are made of one or both of those materials. This, I am writing for people that have forgotten a piece of their history; but I have taken special care in writing this for the Urban Renewal Center in Lewis Yard, a settlement in Grand Bahama Island where I live. I recently spoke with the ladies there and told them of the treasure that they have on the property, and how they should cherish it. I know it doesn't seem like much right now but in the coming years this tree will be worth a lot and because the next generation is far more creative than we can imagine. 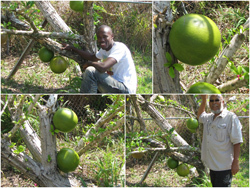 I am speaking of the "Calabash Tree" and their gourds which might very well become a pivotal role in our economy. These gourds were used in ancient times to carry water: and from what I have gathered they are like a mini refrigerator. 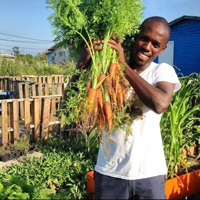 Have you ever walked into someone's garden and there were so many beautiful crops, so much so, you wondered how someone could maintain such a garden? And became ever so curious when you see that same person eats only salads or the occasional soup? You may have wondered, what’s the use? Well don’t worry I encounter that daily and I am in fact trying to change people's mindset on the conventional use of a garden. I believe if a grower plants a tomato seed and gets a tomato vine and only thinks of it as 'just tomatoes' then he will only eat tomatoes. Frankly I couldn’t eat something that the Divine Mother has created, and not add a piece of myself to complement something so spectacular. 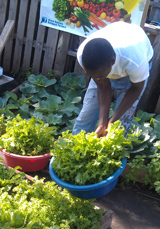 Gardening to me is on so many levels especially when you’re growing food for your personal consumption. In 2014 I will mix it up a bit. I plan to talk about it from many angles. The Green fruit is quite poisonous so try not to consume this fruit unless it has ripened. It is bright red in color when ripened so you'll know when it is edible. October is usually celebrated at the end of the month with costumes and parties to bring out the scary side of our imagination. 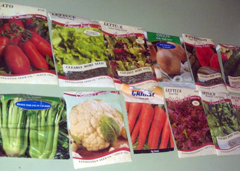 But you can start your celebrating a bit early if you know what to plant for the month of October. 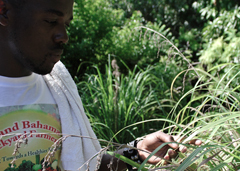 The Grand Bahama Backyard Farmers Community is pleased to release, with much anticipation, the new growing list for this month of October so that you can start your burial early and get some young healthy crops in this season. Simplicity of a garden is sometimes easy to grasp when you’re looking at the garden from the top layers, but often the bottom layers are the key to what’s going on with life in the garden as a whole. The fall season is finally upon us, which symbolizes the hibernation of most of our fruit trees. Trees use their leaves for photosynthesis, a process by which carbon dioxide and water are absorbed through various microscopic apertures ("stomata") in the leaves to produce carbohydrates and equally importantly oxygen, a gas necessary for life on Earth. This is a Cassava! The Cassava or Yuca is one in the same and is said to have originated in Brazil or Paraguay, but you can find them almost everywhere in the world today. 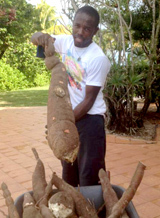 The Cassava is a crop that most believe when planted will deprive the soil of all its nutrients. Others believe because of its high starch content that it is detrimental to the human body which is not true. In 2000 four Bahamian women rose to the height of capturing Olympic Gold and today they are respectively known as “The Golden Girls”. Thirteen years later, the national pride was once again boosted when four Bahamian men captured Olympic Gold in an astonishing fashion and today they are respectively known as “The Golden Knights”. Both of these parties are forever instilled in Bahamian history. You may wonder why am I discussing this matter The Golden Girls, The Golden Knights since this is a column pertaining to gardening? Don’t worry there is a connection... well sort of!! Weeding for me is an enjoyable experience for one it means that I will be cleaning the garden and listening to great music or lecture series. But aside from that I actually spend most of my time eating weeds. I know you are probably thinking I’m crazy. Go ahead, I have heard it all before. What’s really crazy is that we don’t always know the connection we have with plants we have been pulling out of the garden or our lush lawns, and what their consumption can mean for us. I have spent countless hours informing my friends of plants and how important everything in nature really is and thankfully a lot of them actually pay attention. One hundred years ago people were very connected to the soil, so therefore they understood what was before them. 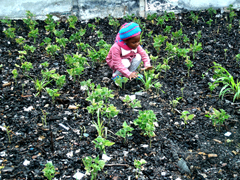 In this day and age not many people give a second thought of the importance of soil, but the fact remains, people in the position to recognize soil and its importance are the very people wreaking havoc on the land. It is finally the end of the year and I can say without any doubt that “2012” has truly been a learning experience for me. I have shared quite a few things, explained their purposes and suggested some interesting fruit trees you should add to your garden for various purposes. This year we had to combat with the devastating effects of Hurricane Sandy and it made me realize that we do live in a really weat her-active area during the summer which makes farming a little more difficult, but not impossible. I am one of the fortunate ones to have a hobby like mine that entails me working in the environment I love and also to teach and learn an incredible amount of information on bush medicine. 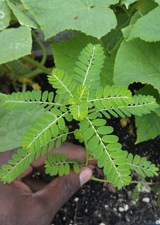 It has become so big a hobby in my life that I have dedicated a portion of myself to the study of plants and their medicinal values and for that I have turned to oral and our ancestral studies. The beauty of this hobby of mine is even though I am still a beginner. I can walk in almost anyone’s backyard and tell a story about a plant and today I am in a friend’s yard to tell you about this one and its medicinal values. 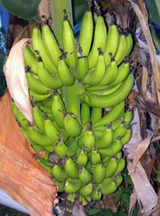 The banana is one of many favorite plants which I have in my backyard, and believe me when I tell you that I have spent quite a few dollars acquiring those banana herbs. Aside from being a favorite in food stores, bananas have quite a few medicinal values as well. 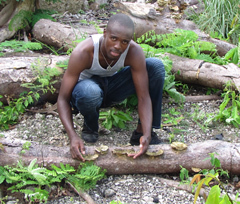 Bahamian folk have used banana leaves mixed with other ingredients to treat blisters, diarrhea and fever. 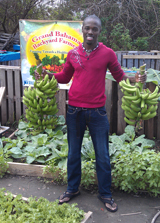 Bananas are also great as organic matter for the garden. I recently spoke to a friend of mine and he mentioned that he was in need of vitamin C to combat a flu he was coming down with. I handed him a guava and he seemed almost bewildered by my gesture which made me think to write this. 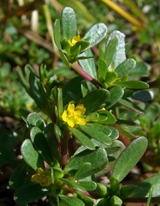 Did you know that most of the weeds in our backyards are medicine? I’m quite serious! 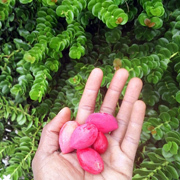 If you get a chance, take a walk around our mini tropical jungle here in Grand Bahama (as I do about once a week since I got hit with the bush medicine fever) and you will be very surprised at the number of herbs you will find. Here is a really cool, yet slightly annoying, one I can’t seem to get rid of: “Chanca Piedra.” However, because of its incredible ability to withstand my abuse I will share why I am about to keep it around. Even though we enjoy fruits and vegetables during the summer we are now into September which welcomes a new season of crop rotations. It’s good to know we're located in one of thee most beautiful regions on earth which has a beautiful climate year-round. Unfortunately we still have to follow rules set by Mother Nature. There are many fruit trees in The Bahamas and in the months to come, Let’s Grow Bahamas will be selecting the “must have” trees for your yard. 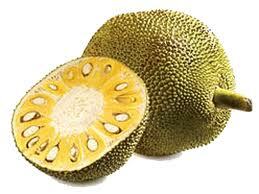 Our first pick for the month of August will be the Jack Fruit Tree. 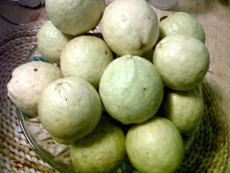 The fruit obtained from this tree is a delicacy that has been enjoyed through the generations in many different countries.